Aftershaves are cosmetic products that are generally in the form of lotions, creams, or gels. They constitute a complex mix of perfumes, menthol, alcohol, and other antiseptic agents. Aftershave Poisoning is the accidental or intentional intake of the compound. Aftershave Poisoning may be also referred to as Aftershave Toxicity. What are the Causes of Aftershave Poisoning? What are the Signs and Symptoms of Aftershave Poisoning? How is First Aid administered for Aftershave Poisoning? Who should administer First Aid for Aftershave Poisoning? First aid for Aftershave Poisoning is administered by healthcare professionals. What is the Prognosis of Aftershave Poisoning? 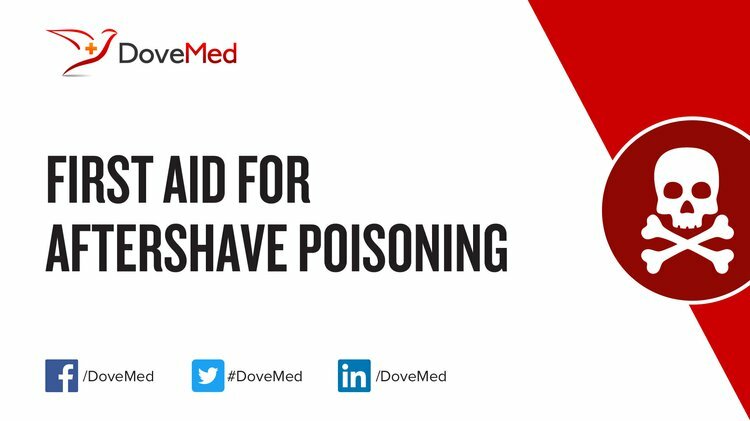 How can Aftershave Poisoning be Prevented? Vale, A. (2016). Isopropanol. Medicine, 44(3), 179. Wallin, D. (2017). There’s no place like home…. Medicine. Vale, A. (2016). Alcohols and glycols. Medicine, 44(3), 128-132. Donovan, J. E. (2014). The burden of alcohol use: focus on children and preadolescents. Alcohol research: current reviews, 35(2), 186. Biesterbos, J. W., Dudzina, T., Delmaar, C. J., Bakker, M. I., Russel, F. G., von Goetz, N., ... & Roeleveld, N. (2013). Usage patterns of personal care products: important factors for exposure assessment. Food and chemical toxicology, 55, 8-17. Al-Tubaikh, J. A. (2017). Occupational Medicine and Toxicology. In Internal Medicine (pp. 495-515). Springer International Publishing. Rehm, J., Kailasapillai, S., Larsen, E., Rehm, M. X., Samokhvalov, A. V., Shield, K. D., ... & Lachenmeier, D. W. (2014). A systematic review of the epidemiology of unrecorded alcohol consumption and the chemical composition of unrecorded alcohol. Addiction, 109(6), 880-893. Luca, A. C., & Iordache, C. (2014). Ethical aspects regarding acute intoxication in children. Revista Romana de Bioetica, 12(1).